You'll be £19.99 closer to your next £10.00 credit when you purchase Aviator Extraordinaire. What's this? A lifelong fascination and love of flying and aircrafts is fuel for this engaging autobiography by G J Christopher Paul, CB, DFC; a man bitten by the aviation bug at an air display at the age of four, and thereafter a devotee. His remarkable RAF career was followed by an eventful civilian career in aviation, which saw him organise rallies at places such as Sywell, encouraging 'flying for fun'. Both halves of his flying life are detailed here in chronological order and in his own words. Minor additions have been made to offer technical descriptions to readers unfamiliar with Paul's aviation vocabulary. The fifty year span of his career covered an incredible period of aviation history; from gaining his license in the 1920s to his retirement in the 1970s, there was virtually no iconic or, for that matter, obscure aircraft that Christopher Paul did not fly. Included in the book is an extensive appendix in which Paul details, again in chronological order, every aircraft type he flew during his career. It is a veritable roll of honour of every conceivable aircraft, both British built and International, across arguably the most important period of aviation development. Interwoven with his own career progression and experiences are world events and situations. Coupled with this we can clearly see the development of aircraft over a period of over fifty years. 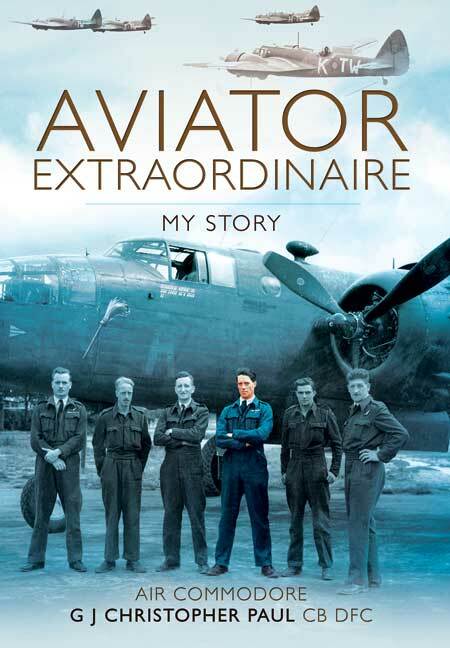 Eloquently written, this is the autobiography of a man who described flying a Spitfire as having 'one's own wings'; the thrill of flight is translated here, and the effect is equally thrilling. A lively account of a life in the skies. This is an interesting account of a varied career.